Please request all repeat prescriptions after 1pm. Prescriptions cannot be collected on Saturday, Sundays or Bank Holidays from the Surgery. Repeat Prescriptions can be obtained by ticking the items required as shown on the last prescription slip received. If you do not have a request slip please complete a routine slip held at Reception. All on the day prescription requests must first be discussed with the receptionists who will forward them to the Doctor. On the day prescriptions are only issued in very exceptional circumstances identified by clinical need and will be available after 6pm. Repeat Prescriptions can be put into the prescription box in reception. If prior arrangements have been made your prescription may be sent directly to your choice of pharmacy. Because we are constantly aware of the safety, the risks and, of course, the benefits of prescribed medicines, please understand that repeat prescriptions will only be available after careful scrutiny of your request. Therefore please allow 72 hours (not including weekends and Bank Holidays) for the issue of a repeat prescription. Patients are advised to request a repeat prescription approximately 1 week before running out of their medication. 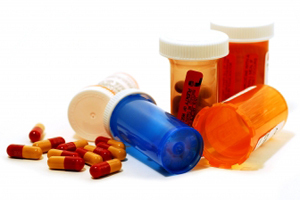 When a doctor requests you to have regular medication, you will need a Medication Review every 6 months. Failing to attend your review may cause a delay to your request. Please understand our cautionary approach on this matter as uncontrolled issues of repeat prescriptions could, under certain circumstances, be potentially dangerous and compromise your health. There may be occasions when we refuse to issue prescriptions authorised by other doctors or consultants. This in no way questions the authority, integrity or knowledge of other practitioners. A refusal to issue a prescription in these cases follows local authority guidelines published by South West Essex P.C.T. An example of why we might refuse a prescription is that we feel we do not have the specific expertise within the Practice to carry out safe monitoring of that prescription e.g. certain types of drugs! We may consider that repeat prescriptions should be issued by the initiating doctor. If prior arrangements have been made your prescription may be sent directly to either: Boots Alliance, Vanas Pharmacy, Tesco’s, Sach Chemist, and Sainsbury Pharmacy for collection or delivery, Speak to your Chemist to find out whether they provide this service. Alternatively you can enclose a stamped addressed envelope with your request and we will post it back to you. Please note that you have a choice of chemists for dispensing of prescriptions. Rosevilla Surgery is now offering patients the Electronic Prescribing Service (EPS). This service enables prescribers - such as GPs and practice nurses - to send prescriptions electronically to a dispenser (such as a pharmacy) of the patient's choice. This makes the prescribing and dispensing process more efficient and convenient for patients and staff. Once you are signed up to use EPS, you will no longer receive a paper prescription from the surgery. Instead your prescription will be electronically delivered to your selected pharmacy or dispensing contractor. PLEASE BE AWARE that some medication cannot be sent electronically. Items like some dressings and other items will still require a paper prescription to be physically picked up by you or your nominated pharmacy. If you are unsure of all the items on your prescription can be sent electronically, speak to your pharmacy or visit reception.